Knowledgeone Corporation is proud to announce that it is an authorized distributor for the Smead ColorBar file label printing software. 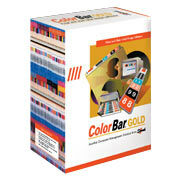 ColorBar is also integrated into the Knowledgeone Corporation RecFind 6 applications. This integration allows customers to print file labels directly from within the RecFind Pick List with the click of just one button.